Enjoy the top 1 famous quotes, sayings and quotations by Bryant Simon. great working conditions, musical discovery, fair treatment of farmer, and concern for the environment. Every time I went excavating, the stories turned out to be more complex, more heavily edited, and more ambiguous than I had first thought. Each time, it became clear that Starbucks fulfilled its many promises only in the thinnest, most transitory of ways and that people's desires went largely unfulfilled. Want to see more pictures of Bryant Simon quotes? 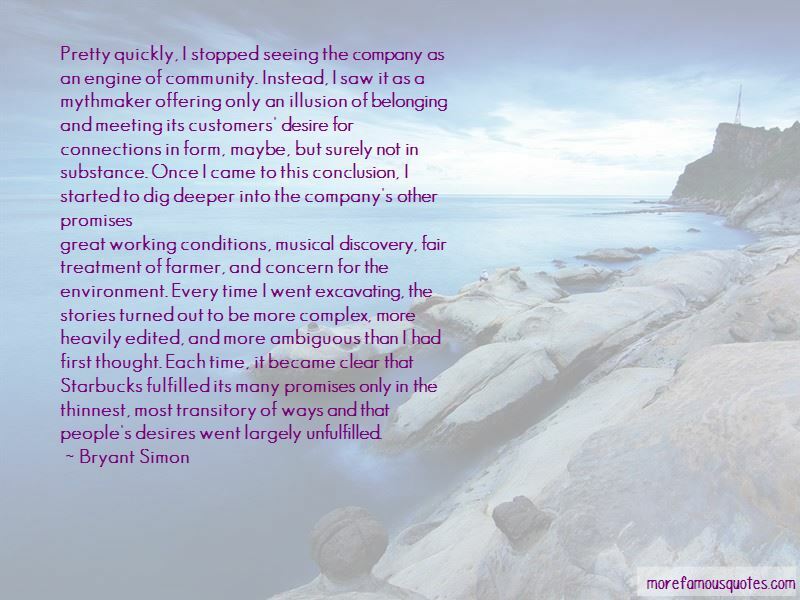 Click on image of Bryant Simon quotes to view full size.